I wanted to get to Death Valley while there was a full moon, because to me, Death Valley photographs stunningly well in black and white... and I'd much prefer hiking under a full moon than under a full sun! Moonlight is so soft and diffuse that everything takes on a deep, mellow blue cast... pretty much black and white. 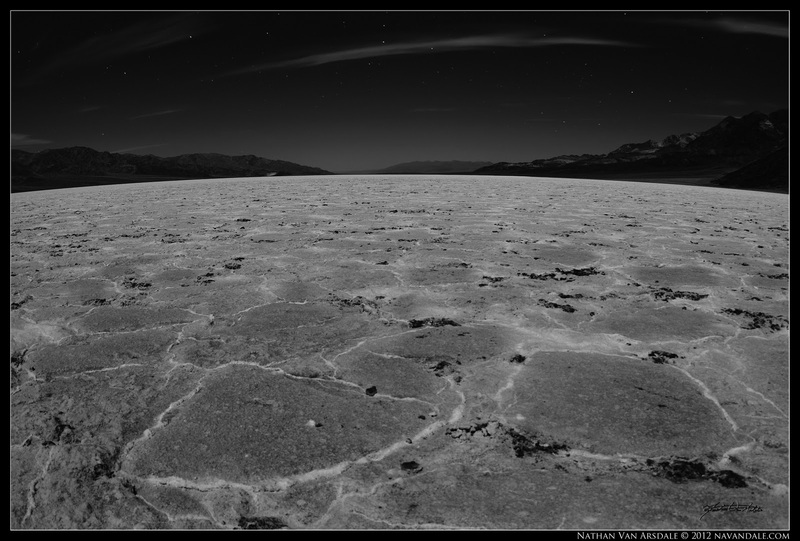 Badwater Salt Flats reminds me very much of the moon. Using my 15mm Canon Fisheye distorts the horizon slightly, adding to the feel of being on another world. 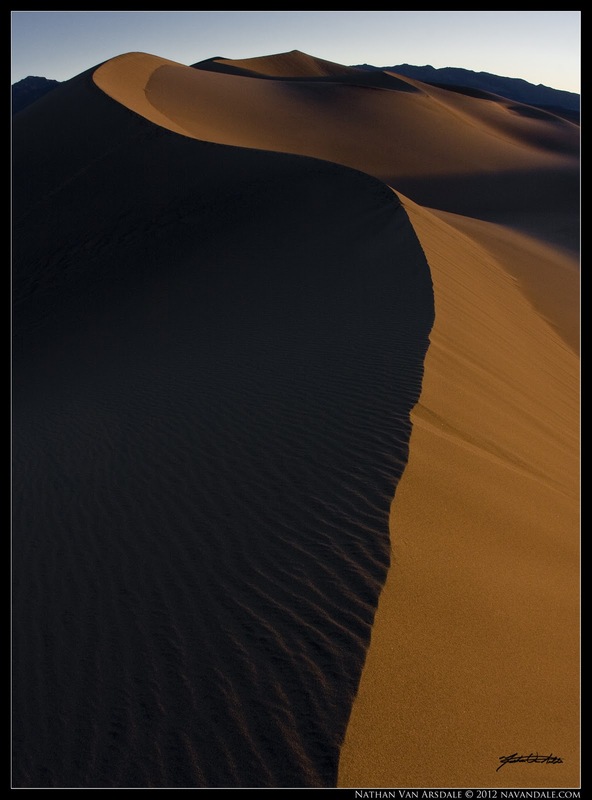 Death Valley actually offers a tremendous amount of photographic opportunities... but can be quite monotonously red and orange outside of sunrise and sunset hours. 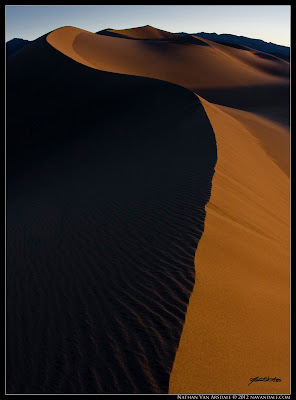 So, I took advantage of the early morning sun light to capture the contrasty shadows of mountains, hills, and sand dunes and get some beautiful Landscapes and Abstractions. Balance - Yin-yang abstract in Mesquite Sand Dunes. 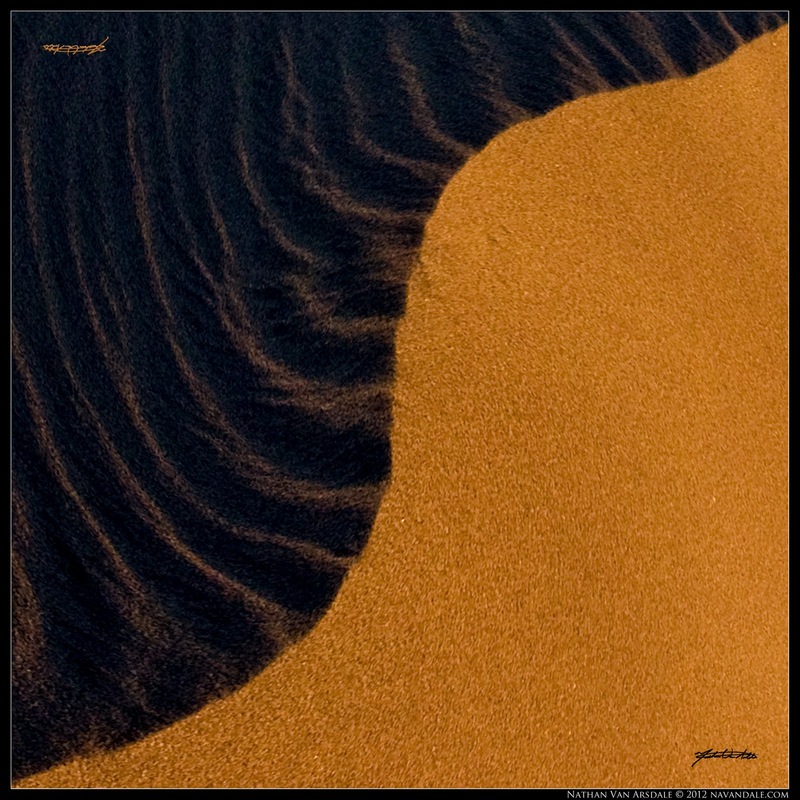 Head of the Serpant - Sunrise at Mesquite Sand Dunes. Salt Creek - HDR from 3 RAW images. Yep, that's not snow. It's salt. 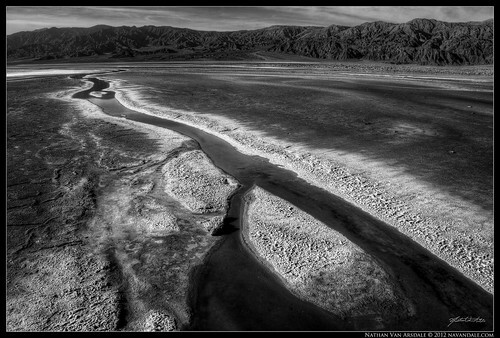 This is Death Valley's Salt Creek. I initially wasn't planning on visiting salt creek, but as I drove past it I had to stop and photograph the salty, artery-like channels of shallow water. I knew that these would make beautiful Black and White images because of the contrast of white salt with the dark water. 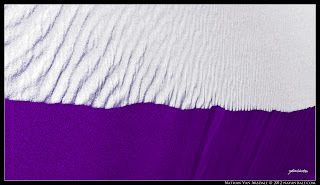 So, using the warm mid-day light I explored various compositions. I couldn't imagine doing that during the warmer months. As a black and white HDR image, the ground takes on qualities of a cloudy sky... subtleties of light/dark gradients that would otherwise be missed in a color photo add power to the otherwise monotonous landscape. There are some many photo editing tools through out the Web iphotoplugins.com. But to find a decent app sometimes is a challenge. I've spent days and weeks to find some tool that would answer all my needs. So I think you made a great job presenting this list!